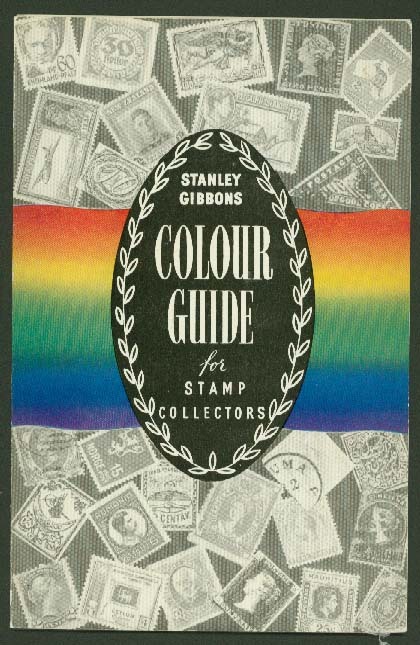 Gibbons & Co., S. COLOUR GUIDE FOR STAMP COLLECTORS. Published 1969. Fold-out card showing 100 named colour chips. The standard used for Stanley Gibbons catalogue descriptions. Gibbons, Stanley. 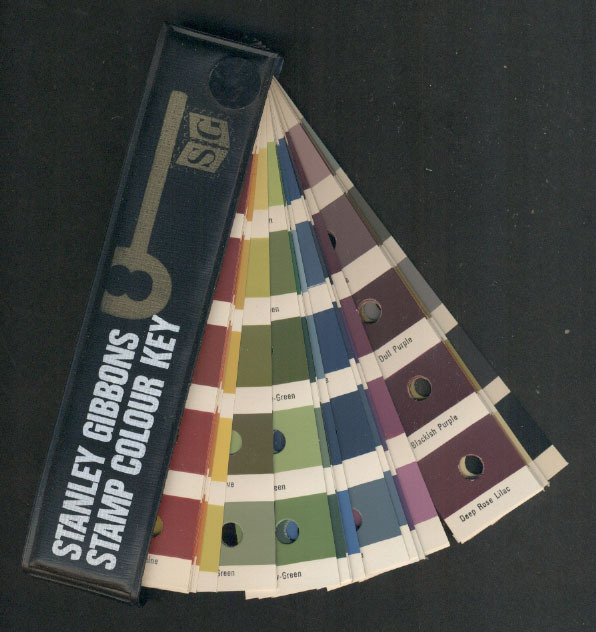 STANLEY GIBBONS STAMP COLOUR KEY. Published 1986. 200 colors to match shades with a high degree of accuracy. In fan-out binder.